The SFU Vision and Media Laboratory conducts research in Computer Vision and Multimedia. We focus on the problems of active video, content-based retrieval, human activity recognition, lighting invariance, object recognition, and shape matching. High-level descriptions of each of these problems appear below. Please see our list of projects for details on the research conducted by the Vision and Media Laboratory. The grand goal of the field of human activity recognition is to build systems that can find human figures in either still images or video sequences, and determine what action they are performing. Such systems can be applied to develop more natural interfaces to computers, for example using gestures, in addition to being used for surveillance and security. One of the pieces of the puzzle is how to deal with lighting change in the way that humans can: we tend to ignore the effects of shading and shadows, and we use bright highlights as a useful visual cue, rather than a source of confusion. But computer programs aiming at image understanding see these factors as distractions. 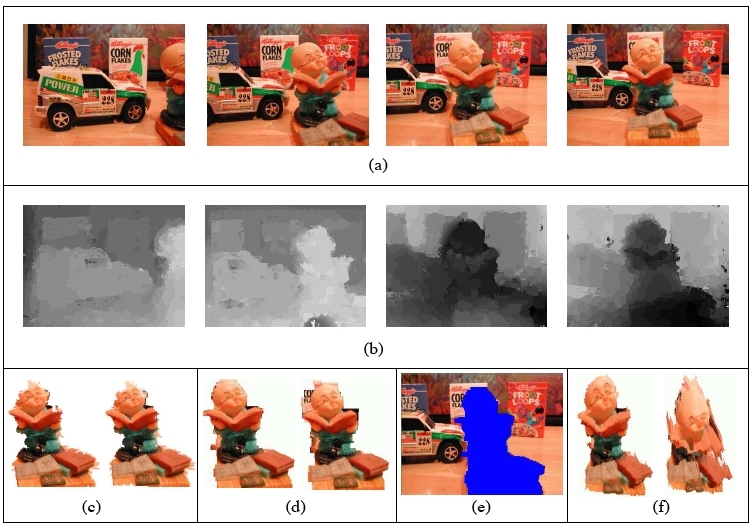 So one strand of research in the VML looks at removing these distracting factors using image processing to produce images that are invariant to lighting change. 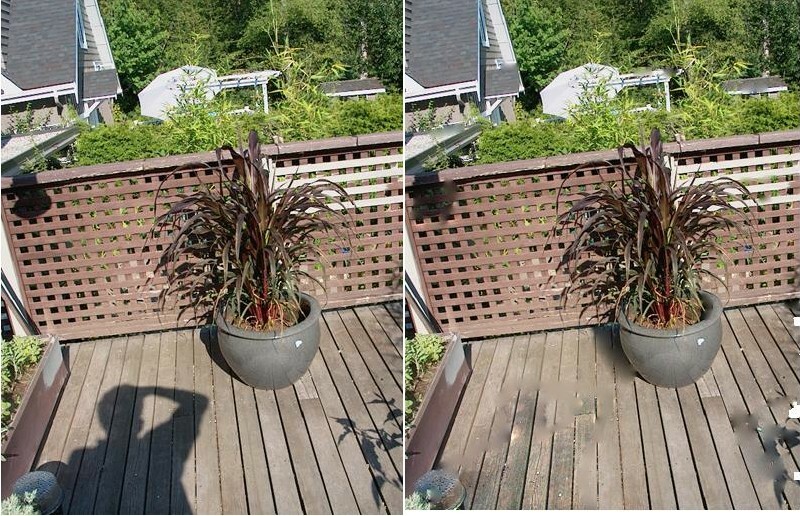 One compelling outcome of this work has been the development of images that are unchanged from the original, except that the shadows are removed. 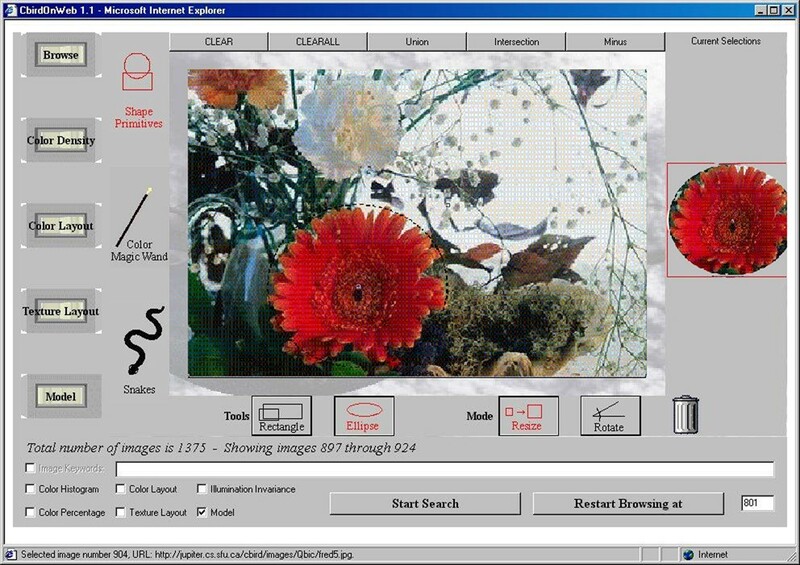 Object recognition refers to the problem of automatically identifying objects in images. These objects can range from household items such as mugs, tables, or telephones, to discriminating between various species of fish. The approaches we are developing use the overall shape of an object to aid in making these distinctions. Active videos are object-centered, and often exhibit prominent shifting and holding behaviors of the human operator. In order to capture the object-of-interest and its movements, it is common for the videographer to invoke various camera movements. The rapid pan/tilt movement is analogous to saccades, which are often triggered by object movements or distinct visual features (color, texture, shape, etc.) in the periphery, indicating a shift of attention. When dealing with moving objects, smooth (and usually not so rapid) pan/tilt movements are used for smooth pursuit. When multiviews of the object are desirable, we will witness body movement of the videographer. In short, active video is by definition object-based and full of actions. This research focuses on the automatic extraction of video objects from active video and their 3D reconstruction, which will facilitate video indexing and retrieval. C-BIRD allows users to retrieve image and video contents from the internet. In addition to keywords, it uses common features such as color, texture, shape and their conjuncts. This research focuses on issues of Search by Illumination Invariance and Search by Object Model. Simon Fraser University is situated on Burnaby Mountain in Greater Vancouver. The SFU Vision and Media Lab is located in the TASC1 building, rooms 8000 and 8002. Visitors who are driving to the VML should park in the "Visitor's B-lot" (VB), accessed from Tower Road. For public transit information, please see the directions given in the links below.